VIDEO: Is Marine Le Pen a fascist? Tomorrow France goes to the polls in an unprecedented election between Marine” Le Pen and Emmanuel Macron. But is the National Front candidate really an old school fascist? We talk to Ben Gidley, senior lecturer at Birkbeck, about the far-right’s attempt to rebrand itself and secure electoral success. You can follow him on Twitter here. I spoke recently at a Runnymede Trust event “Redefining Integration“. As Dame Louise Casey’s report throws the definition of integration into sharp relief, to a mixed chorus of unbridled gleeful and concerned criticism, Runnymede Communications Coordinator Lester Holloway looks back at our timely Redefining Integration conference last week. With Donald Trump the president-elect of America, Brexit in Britain and the threat of the far right National Front winning the French presidency, what is the role of integration today? That was one of the questions debated by an experienced panel of academics and thought leaders at Redefining Integration. The central focus for debate was how we define integration and its role in bringing communities together. You can watch a video (15 mins) here. Placeless People: What can History tell us about today’s Refugee Crises? This wonderful event, organised by Lyndsey Stonebridge and Becky Taylor for the Pears Institute for the Study of Antisemitism in association with the University of East Anglia, as part of the , is now available as a series of podcasts via Backdoor Publishing. The event is part of the Refugee History project based at UEA. Talks by Ben Gidley (University of Oxford), Ahmed Soliman (Alexandria University) and Colin McFarlane (Durham University). Ben Gidley presents findings from studies on urban migration and recommendations for municipal responses to challenges. This is based on the Global Migration and the Future of the Cities project at COMPAS, part of the Oxford Future of Cities programme led by Steve Raynor and Michael Keith. Anyone interested in political history or theory should visit Christie Books, the publishing house and anarchist archive run by Stuart Christie, would-be assassin of General Franco and author of the entertaining memoir My Granny Made Me an Anarchist. The site contains a great deal of audio and video, including a documentary I made for BBC Radio 3 in 2008 called The First War on Terror. 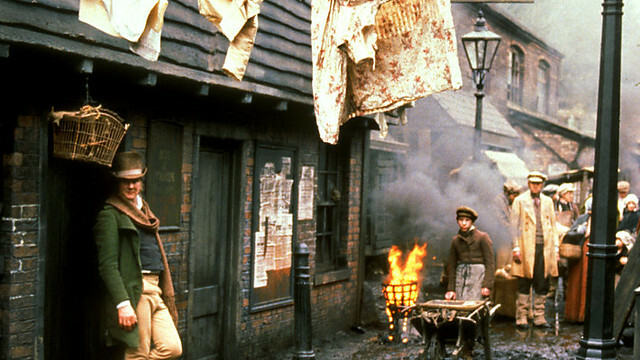 It’s about the anti-anarchist panic that gripped Europe in the late Victorian period, and the responses by writers (from pulp novelists to greats like Conrad and Chesterton) to the fears of a social order without gods or masters. Listen to the program here. I feature (fairly briefly) in the programme, taking Hari on a walking tour of East London, including Freedom Books, which was firebombed this week, probably by fascists (and not for the first term), along with Clive Bettington of the Jewish East End Commemoration Society (far more radiogenic than me), talking about Joseph Conrad, Rudolf Rocker and more. Novelist Hari Kunzru explores how pulp fiction writers and great novelists got to grips with the UK’s first major ‘war on terror’ – against the Anarchists of Victorian and Edwardian times. These ‘scare novels’ responded to the Anarchists’ wish to abolish the State by depicting outlandish scenarios such as political assassinations and large-scale bombings. He also explores the world of the real anarchists in London’s immigrant communities – most of whom were peaceful and cultured East End Jewish activists, trying to improve conditions in the garment trade – in contrast to these terrorists the novelists imagined and the popular press feared. Bringing the programme up to date, Hari and literary scholars Laurence Davies and Deaglan O’Donghaile also briefly consider the modern response to 9/11, asking whether novels on terrorism ever get it right. 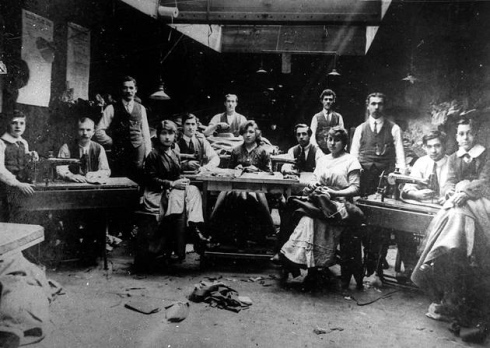 Commemorating the strikes of 1912 meeting On 23 May, the Jewish Socialists’ Group held a meeting in the library of the Bishopsgate Institute to discuss the history and continuing relevance of the 1912 tailor’s strike, inspired by Rudolf Rocker. The meeting covered the history of unionism in the East End, including the Docks, the history of the rag trade and sweatshops, the strike in 1912 and what it can teach the contemporary trade union movement. The meeting was chaired by David Rosenberg of the Jewish Socialists and included talks by Ben Gidley, senior researcher at Compas at Oxford University working on East End Jewish radical history, and Donnacha DeLong, President of the National Union of Journalists. UPDATE: Versions of mine and Donnacha’s talks have since been published in Jewish Socialist magazine. Whereas multiculturalism has been steadily ‘downgraded’ on the policy agenda both in the UK and other parts of Europe during the 2000s, social life at neighbourhood level is increasingly characterised by an everyday negotiation of categorical boundaries such as migration histories, religions, migrant statuses, and socio-economic disparities. This series will focus on emerging empirical research and methodologies that engage with such localised, intercultural processes. The presentations are based on findings from a range of different settings, including London, northern England, the Netherlands and Germany, and also focusing on new ‘zones of encounter’ that go beyond the traditional inner-city perspective. At OpenVizor, a nice video with me talking about photography and the practice of walking, in connection with an Urban Encounters event last year. 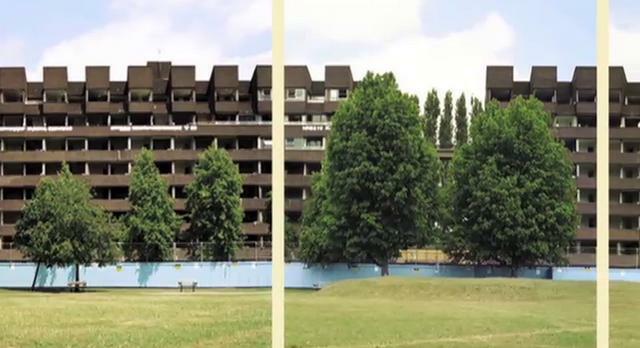 Ben Gidley on the Diasporas of East London from Ann Cowie on Vimeo.